Home » Snippets » Snippets: foodpanda invading Lau Pa Sat & Your Christmas Party! Snippets: foodpanda invading Lau Pa Sat & Your Christmas Party! This Christmas season, foodpanda (together with EasyVan) will be looking to invade Singapore through the most famous hawker centre on the island – Lau Pa Sat! In the fourth week of December this year, they will be sneakily placing packed tissues on all tables in the Festive Market to “chope” all the seats up! tRP team would be there to catch the reaction of Singaporeans looking for a table to enjoy their hearty hawker fare for lunch! Truly a unique Singaporean way to get into the hearts and “stomachs” of the locals – and to welcome SG50 as we head into 2015! As we are down to the last 2 weeks of 2014, tRP team is crazily and excitedly counting down to Christmas and an awesome start to 2015! And to our readers, now is the time for sharing and well…. lots of EATING! You may have heard it from us, yes, foodpanda does food delivery for numerous fast food and restaurants in Singapore, including joints such as Soup Spoon, Spizza, Subway, Maki-San, Popeye’s Louisiana Kitchen, Sakae Sushi, Moi Lum Restaurant, Flee Away Cafe, Omar Shariff and even Outback Steakhouse, just to name a few! And if you are planning a Christmas Party this rainy season, why bother heading out when you can have your food in merely a couple of mouse-clicks away! One of the selections which we would recommend is the burgers from BERGS! Thumbs up to their The Berg with Cheese ($13.50), while it is everything one should expect from a beef patty burger, this burger definitely deserve to be described as Gourmet – choose your favourite cheese to go with it, either Swiss, Brie or Edam cheese! What’s even more crazy for WeChat users right now: you can actually browse the nearby restaurants, and order your food – all via the WeChat app! 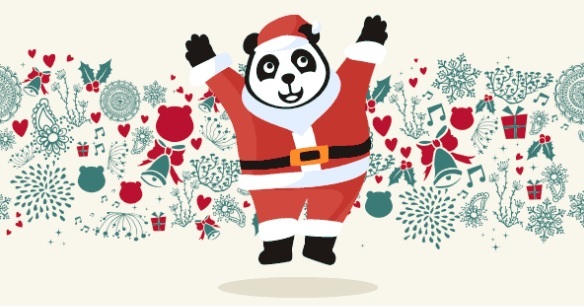 To say THANK YOU to theRantingPanda readers this festive season, we are partnering foodpanda to give you a 25% discount* on your orders with the discount code “therantingpanda”!